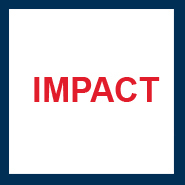 Consisting of video-recorded interviews, this set of presentations documents views on the role and impact of statistics from unique standpoints: those of users that have experienced the benefits of this discipline firsthand. The series spans a diversity of subject matters, in industry, government, services, and even daily life, particularly those representing CIMAT direct interests or involvements. Individuals selected to be interviewed are renowned, holding key positions in their respective fields. 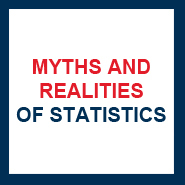 The wide spectrum of applications of statistics is thus exemplified, as well as the collaborative nature of work that statisticians perform in many fields. The music used in the beginning of each series episode is Persephassa, by Rumanian composer Iannis Xenakis. who developed a stochastic method for composition in the mid 1900's, in his book Formalized Music: Thought and Mathematics in Composition. This piece was written for an ensemble of six percussions. 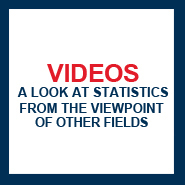 Videos were produced by CIMAT for the International Year of Statistics. 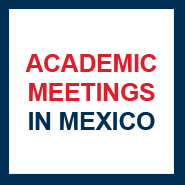 Collaborators: Graciela González, Israel Pérez, Max Tapia, Román de la Vara, Enrique Villa, Manuel Mendoza, Mara Téllez, Belem Trejo, Liliana Martínez y Raúl Rojas.